Many people couldn’t find the small island nation of Malta on a map. Hardly a surprise given that it barely registers as a speck on a map of the world. But if you scan down the length of Italy, below the island of Sicily and look closely at that dot in the middle of the Mediterranean, you will find the tiny island that rewards further exploration. One of the safest countries in the world for solo travellers – male or female – this place is packed full of cultural, historical and natural treasures. 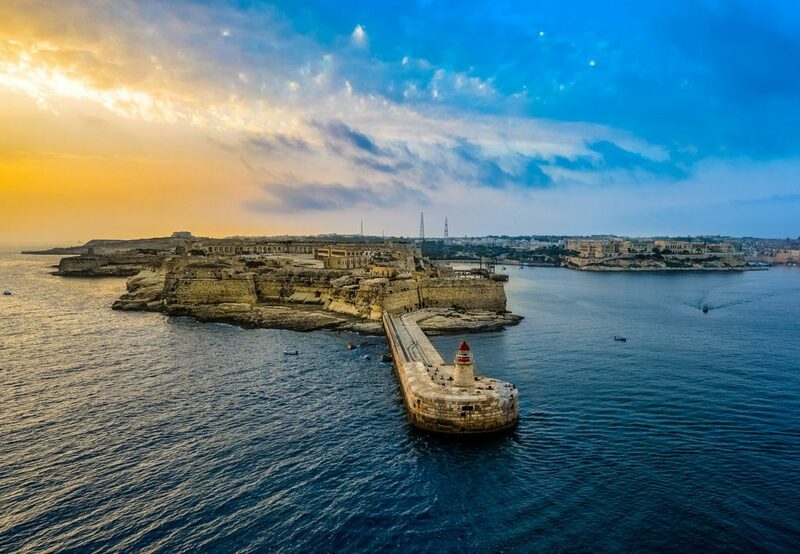 Let’s take a look at four must-see places to go in Malta … as well as one one should avoid! Many people travel to Malta during the summer months to take advantage of the estimated 3,000 hours of sunshine per year. That’s more than anywhere else in Europe! Many of the beaches in the south of the island are rocky and over-crowded. The smart traveller will head North to find some beautiful and secluded ones. 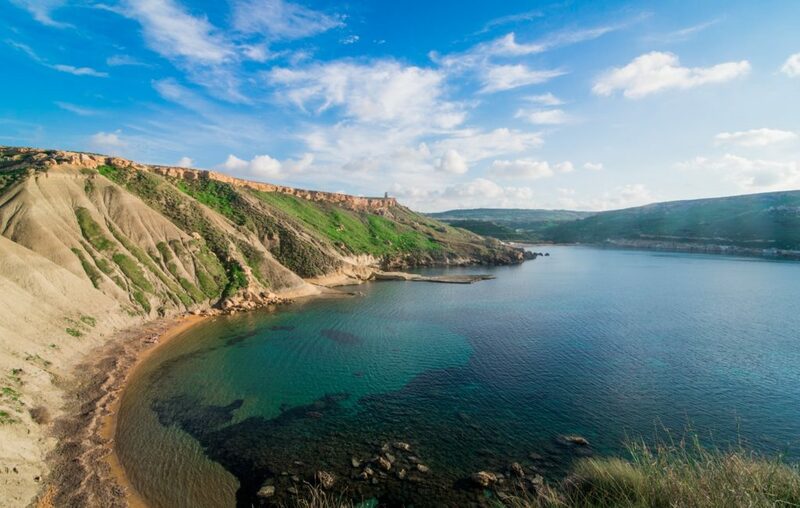 Perhaps the most lovely of them all is Għajn Tuffieħa, an unspoiled sandy beach surrounded by natural greenery on all sides. One can only access the beach via a long stretch of stone steps. While it does require a little effort, this is also an effective deterrent for crowds of tourists, allowing you to enjoy this scenic spot in relative tranquillity. Due to its strategically important position in the centre of the Med, Malta has been conquered by a sequence of foreign powers. Dating back to the Romans and Phoenicians, with the British the most recent rulers of the island. What this means is that the island is a paradise for history-lovers. If you want to go back even further in time, you should pay a visit to the Hypogeum of Ħal-Saflieni. Book your place before you visit, and prepare for one of the most atmospheric tours, as you venture back through the mists of time. This Neolithic underground structure dates back to about 3000BC! Perhaps one to avoid if you are prone to claustrophobia, but otherwise this is one unique attraction that you really need to see. The tiny island becomes incredibly crowded during the summer months, so if you are looking for an escape from the throngs then we can point you in the right direction. One of the places to go in Malta is Palazzo Parisio, a little oasis of calm and tranquillity. Its famous afternoon teas attract visitors keen to wind back the clock to a more civilised age. Go to the inland town of Naxxar – (which frankly has little else to recommend it!) – and take a seat in the lovely gardens of the Palazzo. The afternoon tea on offer is an indulgent treat. You can follow it with a tour of the stately home if you wish to take in the full experience. 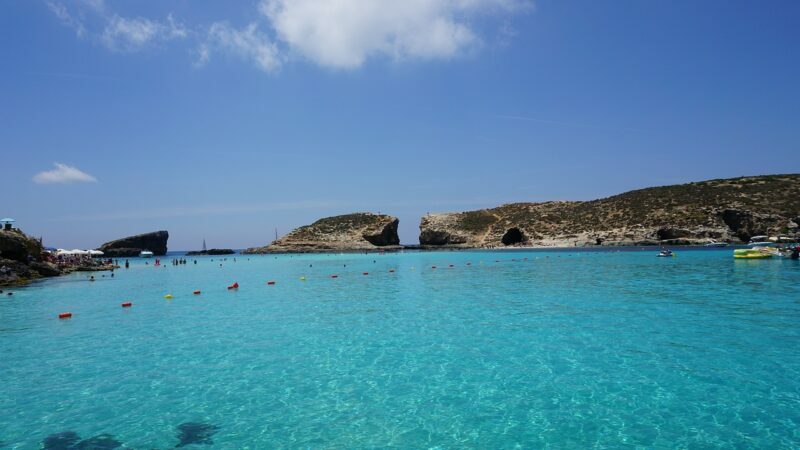 Every day during the summer months, hordes of boats chug their way to the tiny island of Comino, for tourists to experience the renowned Blue Lagoon. While it is certainly a very picturesque swimming spot, the Lagoon becomes so choked with tourists that it is more of a trial than a treasure. Why not try something different, and take the short boat ride from Bugibba to St Paul’s Island? According to legend, this is where the apostle Paul landed when his boat was shipwrecked during a storm. You can wander about this tiny uninhabited island to your heart’s content. No fear of thousands of sun-burned tourists impeding the views here. Just splendid natural beauty on an island which is regularly ignored by visitors to these shores. We promised you one tourist destination to be avoided, and to be honest there are a few which are over-rated. The bus tours around the island are over-long and tedious, and as we’ve mentioned, swimming spots in Comino and the south of the island are too crowded. However, one place that we recommend you definitely avoid is the are called Paceville. One of the least safe places on the island – particularly for female solo travellers – Paceville is a beer-and-vodka-soaked nightclub zone. Teenagers on their first parent-free holiday go wild on cheap booze promoted by cash-hungry clubs, and so-called ‘gentleman’s clubs’ lure a very un-gentlemanly clientele in their direction. Expect to see bodies slumped on street corners and vomit-stained streets by the time sunrise approaches. Trust us, there are better places to have a good time than this cheap & cheerless tourist trap. Malta is a country which fits a whole lot into a small package. Next time you are thinking about a sun holiday, don’t forget to consider the tiny island which offers visitors the chance to experience rich culture and history under beautiful blue skies.